Some of you may have read about our currently Job Free lifestyle (you can read the article is here). We would like to share the most important things we have learned so far as traders, answer your frequent questions and point out some resources which might help you on your trading journey. So, how to trade, where to start, how much I need and is it for me? 1. Is trading for me? Everybody can trade shares. You do not need any special previous knowledge or background to start with trading. What you do need, however, is the motivation to transform your life through trading and motivation and willingness to constantly educate yourself and work on your self-control. Motivation is the single most important factor that will take you over any trouble or difficult situation. I know a person who worked as secretary but always loved to learn to play a violin. But because of her job she had no time to do that. Her desire for music made her to be a good trader so that now she can work 2 hours a day and the rest she can dedicate to her passion. In our case, it was the family. The desire to support my wife, see my kids growing and play with them every day encouraged me to work hard on my self-development as trader and keeps pushing me over any loosing trade which inevitable everybody suffers from time to time. 2. Why so many people fail to make any profits from trading? According to some websites and studies 80 to 90% of beginning traders fail to make any profits from trading and in fact actually lose their capital they started with. They think they know how to trade, but for some reason their strategy (if they had one) didn’t work. This on its own should warn you. The reason for this is twofold. First of all, you have to educate yourself before you get into the real action. Although actually clicking buy or sell button can be managed by a small child, to know when can take some time to master. Secondly, most people fail to control emotions. Emotions make trading a very stressful job. You may ask what emotions? Well, how would you feel if you see that you savings you worked so hard for lost 20% of its value in one day? Or, how would you feel if you earn your yearly salary in only one week? There are many different emotions that affect people and their relationship to money. Greed, fear, outright panic, regret, euphoria. Unfortunately, in order to become a successful trader you have to get these emotions under control and not let them influence your trading decisions. This is by far the most important and most difficult task for you to become a profitable trader. The more you follow logic and rules and the more you get your emotions under control the more successful trader you will be. What is trading? Very simply put, it is buying and selling of shares or any other commodity for that matter and making profit by buying and selling at different prices. E.g. you buy 10 shares for $100 and sell them few days later for $110 with $10 being your profit. If you trade you hold the asset for anything between few days up to few weeks. You hope to take advantage of very volatile share prices in the short term. In contract, when you invest you usually buy and hold shares for many months or years. You are not concern about share prices volatility, you believe in the business of the company and in its financial success which in the long term should translate into higher share price and dividends. First of all you need to understand that controlling emotions is the single most important task you have to master in order to become a successful trader. Also you will have to study charts, candlesticks, patterns, resistance and support areas, moving averages and trends for the beginning. 5. How much do you need to get started? Well, it depends. If you want to trade for living than it depends on how much you need to sustain yourself in today’s world. Let’s do a simple math here. If you need $1,000 per month to cover your living costs and you plan to make 10% profit on your trading capital per month than you would need $10,000 to start with. If your living costs are higher, you would need proportionally higher starting capital. Of course, you can trade with any amount but in trading everything boils down to percentages. So if you trade with $100 you can expect monthly profit of $10. On other hand, if you can trade with $100,000 than you can target a $10,000 monthly profit. With the advancement of technology it is very easy today to trade shares on almost any exchange in the world only with internet connection. You cannot trade shares on stock exchanges directly but you can easily open an account with an online broker who intermediates between you and the stock exchange. There are many online brokers available and the fees you pay per trade are very reasonable. In terms of the stock exchanges, you are looking for very liquid markets where none of the players can significantly influence or even manipulate the share price. Liquidity essentially means that there is always a counterparty ready to sell and buy. There are only few such liquid markets in the world, London (LSE), New York (NYSE/Euronext), Sydney (ASX), Nasdaq and few other. There exist many assets that you can trade e.g. shares, currencies and commodities. So, why trading individual shares is the best option? Because shares offer an opportunity to earn interesting profits without trading on leverage which significantly increases your risk. Leverage means that you borrow money from your broker to trade more units that you can afford with your trading capital. This, in turn increases your profits but also losses, in other words your risk. Although you can also trade shares on leverage, it is the only asset class where leverage (and increase risk taking) is not necessary to achieve any meaningful profits. Also you may have noticed that various companies offer to you trading of products, such as spread betting, CFD – contract for difference, options, futures. All these products and their prices are derived from the shares underlying price and all these products are unnecessary complex. So opting for direct share dealing makes a lot sense to us. In addition, each company share market is separate from other companies, so you have literally tens of thousands markets to choose from. Yes, it is risky. The risk comes from the fact that your profit or loss depends on the share price in the future. Nobody knows the future because the share price in the future depends on what other traders will do. And you cannot read people’s mind. But you can reasonably assume that they are affected by the same emotions like you. As a result, you will soon realize that share prices move in waves. In fact, these waves have special name, Elliot waves. These waves are created by aggregated human emotions of greed and regret, and fear of loss. So, although you cannot read people’s minds you can make educated and reasoned predictions about share price movement. That is why you are better off with trading as compared, for example, to gambling. In gambling, the probabilities of your profit are always lower than probabilities of your loss. In trading, if you understand the waves and resulting chart patterns, you can skew the probabilities of your profit well over 50%, and usually much more. 9. Why do share prices fluctuate? The share prices change very quickly and sometime as fast as in seconds. The reason behind their fluctuation is emotions of the traders. On sides of every trade concluded there are buyer and seller. The buyer wants to buy as cheaply as possible and the seller wants to sell as expensive as possible. 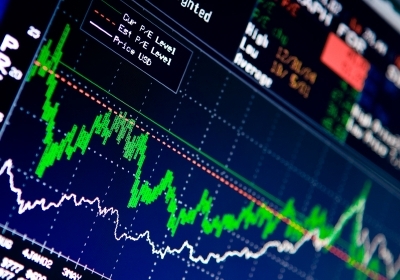 The share prices increase when buyers are willing to pay higher price for the shares. On the other hand, the share prices decrease when seller is willing to accept lower price for his/her shares. Both sides are driven by emotions, greed and regret to buy the rising share and fear of price drop on the seller’s side. Thus, price charts in fact depict human emotions and their aggregation over a trading day. By far the best way to capture these trading emotions are Japanese candlesticks. In one single symbol for one trading day the aggregate emotions of all the traders can be read. Master the candlestick and you made great step forward to your successful trading career. So let us go through a very simply example of a trade. Having analyzed many charts, patterns and candlesticks you chose the right timing to buy some shares for $100. You can also sell shares short but we will not follow short selling example here as everything would be just reversed with the principles remaining the same. Even before the trade you should have a plan for the future. You predict that the share price will rise to $120 and if it does you sell. If you were wrong in your prediction, however, and the share price falls than you have to limit your loss. Let us assume that your plan says that you should sell if the price drops to $95, i.e. your loss would be 5%. This loss limitation is called stop loss and you can either instruct your broker to do it automatically for you or you can have a mental stop loss, i.e. knowing when you would sell to limit your loss and that actually exercising it should it be necessary. If you fail to exercise your stop loss than you may watch the share price slide and eventually suffer a loss of 30 or more percent. This would significantly erode your trading capital and would take a long time to recover in successful trades. As you can see, your success critically hinges on your ability to execute your plan without emotions, almost like a machine would do. 11. Diversify, yes or no? Should you use all your capital in one single trade or should you have several share picks in different sectors? Well, if you follow the sample trade example above it probably does not make much difference if you diversify or not as your risk is limited by your stop losses. More important question for you is how many trades you are able to manage simultaneously and execute as described in the sample trade example. Buying and selling shares is not more or less ethical than buying and selling any other assets, e.g. real estate. Your counterparty in any trade is always another trader and by trading shares of any company you do not support the company in any way. You do not provide capital for its growth, you do not get dividends, and you do not vote in general meetings of shareholders. You are only interested in buying and selling an asset, in this case a share, at different price. 13. Shall I start with paper trading before I get into real stuff? You can but do not put too much emphasize on paper trading, i.e. without the actual exposure to risk. Actually, many people that do great in paper trading fail to translate their success into real trading. The simple reason is that they cannot control their emotions, the make or break in trading success. Here are other useful links. Also you may want to browse www.finviz.com or www.4-traders.com for charts with information on moving averages and support and resistance areas. Successful trading and if you have any comments or questions, feel free to ask in comments below. Very interesting article. Do you have any recommendation for brokers and stock screeners or softwares ? hi thank you for sharing interesting information. i would like to know if it is possible to hire someone who would do the work in shares for me and if there are such people how i would call them? Hi Kvetka, such people are called traders and normally you can have a trading account in a bank which is the simplest and easiest way how to transfer the responsibility to somebody else.another way in case you have more money you can use hedge funds. We don’t recommend to rely on anyone as sometimes they gain as well as loose your money and you don’t learn anything in such a set up. Hi, I have just discovered your great website with plenty of inspirational ideas! I am following quite similar path as your family does. Trying to get rid of all unnecessary things and unhealthy habits, my life also changed in ecuadorian jungle. And I am also trader – last year I started to use automated trading system to trade my strategy based on CFDs. I would be very interested what kind of strategy you are actualy trading, maybe we can exchange some hints? Have a great day!